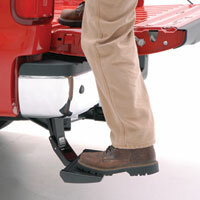 The AMP Research Bed Step gives easy access to the pickup bed of your '10-'18 Dodge Ram truck even with the tailgate down. 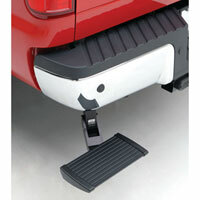 Made from high-strength aluminum alloy with a durable powdercoat finish to provide long-term durability. NOTE: Will not work on trucks equipped with dual exhaust. 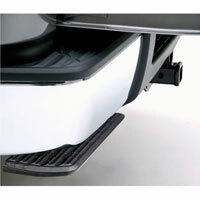 NOTE: Bed Step attaches to stock bumper only. Will not work with aftermarket bumpers.